Silent Hill: Revelation Synopsis: Heather Mason (Adelaide Clemens) and her father (Sean Bean) have been on the run, always one step ahead of dangerous forces that she doesn’t fully understand. Now on the eve of her 18th birthday, plagued by horrific nightmares and the disappearance of her father, Heather discovers she’s not who she thinks she is. The revelation leads her deeper into a demonic world that threatens to trap her forever. Silent Hill stars Adelaide Clemens (X-MEN ORIGINS: WOLVERINE), Sean Bean (THE LORD OF THE RINGS, SILENT HILL, “Game of Thrones”), and Kit Harington (“Game of Thrones”), and written and directed by Michael J. Bassett (SOLOMON KANE), SILENT HILL: REVELATION 3D hits theaters everywhere October 26 2012. 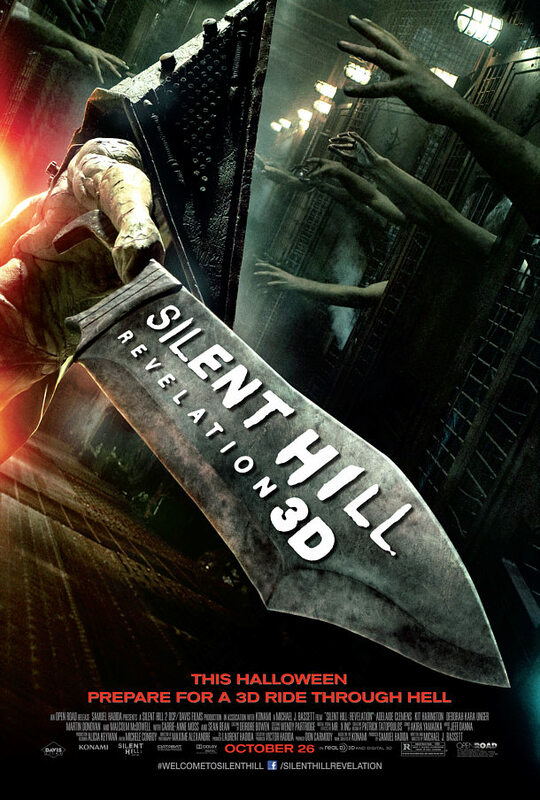 There are currently 4 Comments on Silent Hill: Revelation 3D Trailer & Poster. Perhaps you would like to add one of your own?